As certain NATO powers are exploiting the recent flood of refugees from the Middle East and Africa to push for more military action in Syria, it is essential to further illustrate the deceptive and nefarious nature of a previous war conducted by the military alliance, namely the 2011 war in Libya. These are the repugnant words of the former US Secretary of State, Hilary Clinton, in an apparent reference to the famous words attributed to Julius Caesar: “I came, I saw, I conquered.” Clinton was gloating following the brutal murder of the Libyan leader,Muammar al-Qaddafi, by the Libyan rebels in October 2011. 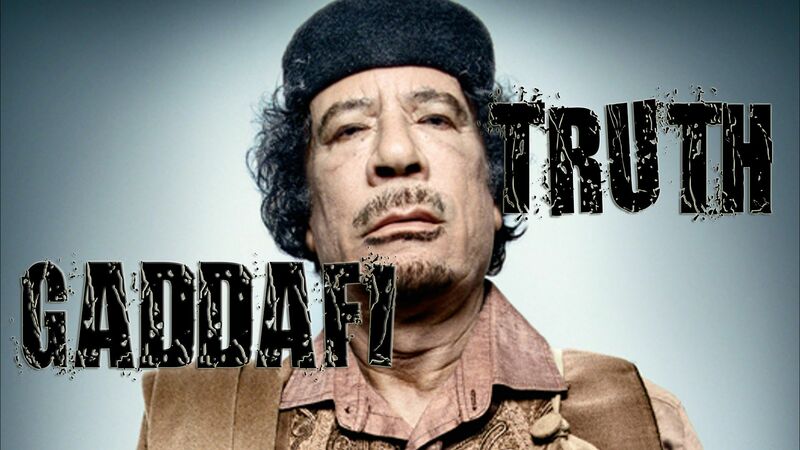 Supported by Western intelligence agencies – most notably the CIA and MI6 – the al-Qaeda affiliated Libyan rebels worked alongside NATO to overthrow the Libyan government, plunging the country into intolerable chaos which has never halted since 2011. Many fighters from Libya then travelled to fight alongside the Syrian rebels in the proxy war against Bashar al-Assad. NATO’s intervention turned an advanced country which had the highest standard of living on the African continent, into a failed state devoid of leadership, cohesion and structure. 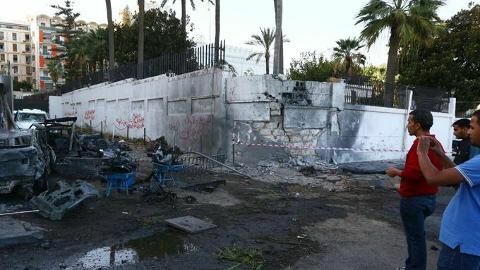 Two car bombs struck near the Egyptian and United Arab Emirates embassies in Tripoli. In a policy brief written in September 2013 by Alan J. Kuperman, an Associate Professor of Public Affairs at the University of Texas, who also holds a Ph.D. in Political Science from the Massachusetts Institute of Technology, Kuperman outlines that NATO’s only objective in Libya was to force regime change in the country. Despite the inverted narrative promulgated by the Western establishment that the war was a “humanitarian intervention”. Kuperman details how NATO overthrew the Qaddafi regime even at the expense of civilian life. The policy brief was based on an earlier article by Kuperman which was published in the summer 2013 issue of the International Security journal, titled: “A Model Humanitarian Intervention? Reassessing NATO’s Libya Campaign“, a project of the Belfer Center for Science and International Affairs, Harvard Kennedy School. Contrary to many mainstream news outlets, the overthrow of the Libyan regime was not a spontaneous decision by NATO powers in response to the Libyan government ‘savagely attacking their own people’. Instead, it was part of a much grander geostrategic plan by Western powers to destroy any nation-state that could resist Western hegemony. In 2014, three years after the war in the country, Libya joined the European Bank for Reconstruction and Development (EBRD), an organisation which is a corporate member of one of the most preeminent organisations within the Western establishment – the Royal Institute of International Affairs (or Chatham House). In the future, the EBRD will offer un-payable loans to the North African nation. This will result in Libya being in debt to an organisation that will ensure the country will be subservient to the interests of Western imperialism, whilst experiencing a sustained period of chaos induced by NATO’s war in 2011. This is 21st century imperialism par excellence. It is clear that for many political leaders in Western capitals, humanitarianism is merely a euphemism for imperialism. Today’s Western elite unimaginatively use the same propaganda over and over again to justify perennial wars. David Cameron recently regurgitated the slogans we heard ad nauseam in 2011, when he claimed the Syrian President Bashar al-Assad has “butchered his own people“. Libya provides a window into Syria’s future if the West ousts Assad, as NATO strategists have no intention of stabilizing Syria if they succeed in ousting the government in Damascus. The Western overthrow of Assad will most probably result in Syria being balkanized into small autonomous regions whilst experiencing a sectarian bloodbath. We can be assured it won’t transition into a democratic utopia (but that doesn’t stop Western propaganda pushing this fairytale). This entry was posted on October 18, 2015 by HKW in Gaddafi, Libya, Middle East and tagged NATO, Terrorism, Wars.